Yep, and here again, some free textured socks knitting patterns inspiration that i keep on my ravelry-library. Winter coming (in my place it's simply heavy rain with chilly night almost everyday! *I always have runny nose now) and its great if we can protect our feet with nice pair of socks. I actually looking for this particular inspirations of socks, because now in my hand, I had 100gr of a multicolor lightweight socks yarn that suitable for 3.25mm knitting needle. 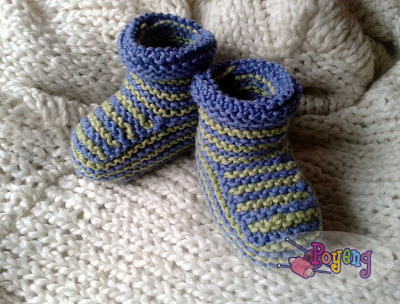 So here you are some free knitting patterns inspiration i got interested because of the texture's surfaces, that i pull from Ravelry under search : knitting - free - socks - 3.25mm. #Every picture here are not mine. They belong to their respective owners. 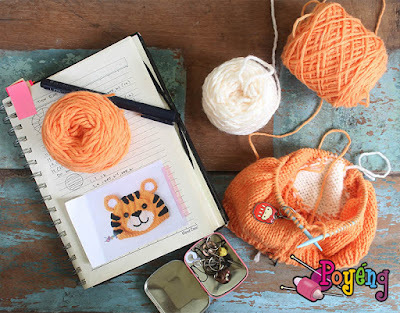 Another free knitting pattern to share!! It was been a while since i knit a baby booties from new free pattern. With a little browse at (as usual) ravelry, i decided to try this pattern, because i like the result. In the end, i resized the pattern because i found the result was too big for the size i want. I almost forgot to re-share these patterns right after i finished it. 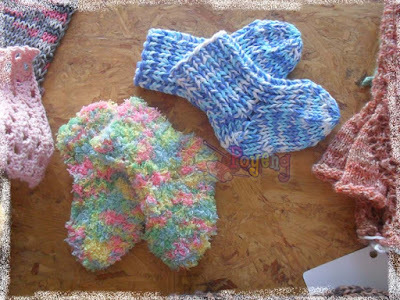 The shoes and glove/mitten free knitting patterns were so perfect, because of the simplicity and cuteness!! 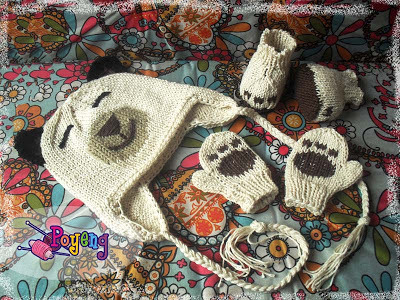 Unfortunately, the hat itself is the only one i cannot re-share, because i made it without pattern. It was near Ied holiday in my country, and it was the time when every moslem in Indonesia would be going home in the same time, at least for a week to gathered with the family. So, i decided, these was the perfect time to knit something only for myself again (after a long while knit for somebody else). And i decided to make a pair of socks for myself. And because the yarn i picked only left 1 roll (50gr), i had to find a perfect pattern that will not cost lot of yarn.